2012 is going to be a year of contrasts – of consolidation of power for the Internet Big Five, and fragmentation and disruption of that power due to both startups as well as government and consumer action. I’ve spent the past few weeks jotting down thoughts for 2012, and hope to do the Year That Is About To Be justice in the following set of posts. Yes, I said “set of posts,” because for the first time since the birth of this blog (that’d be nine years ago), I’m going to post my predictions one by one. Why? Well, because I’d like to dig in a bit on each. If I do it all in one post, we’d have a *very* long read, and most of you are just too busy for that. I don’t plan to release these posts slowly, I’m just going to write till I’m done, so ideally I’ll be done in a few days. And when I’ve finished, I’ll post a summary of them all, for those of you who want all these predictions in one easily linkable place. So let’s start with Prediction #1: Twitter will become a media company, and the only “free radical of scale” in our Internet ecosystem. Now, Twitter is an engineering-driven company, but its future rests in its ability to harness the attention of its consumers, then resell that attention to marketers. If that sounds crass, I don’t mean it to be. Twitter has a chance to do what Google did – at least initially – provide a platform for advertising that actually adds value to the ecosystem in which it lives. Twitter’s initial platform for ads is pointed generally in that direction – Promoted Tweets only get “resonance” if people engage with them, for example. But it’s about to get more complicated. Here’s why. When Twitter rolled out its mostly-lauded new design late last year, it added a new section to all of our accounts. Can’t remember what it’s called? You’re probably not alone. Twitter’s new “#Discover” section reputedly addresses what I’ve called the service’s greatest problem and opportunity: How to filter all that Twitter noise into a signal that adds unique value to each individual account. If Twitter gets #Discover right, it’s created an extraordinary media consumption machine. But so far, #Discover ain’t there yet. You know what is close to there, when it comes to creating a new kind of media consumption service? Flipboard. And that might make for a few uncomfortable board meetings over at Twitter HP, because Flipboard CEO Mike McCue sits on Twitter’s board. 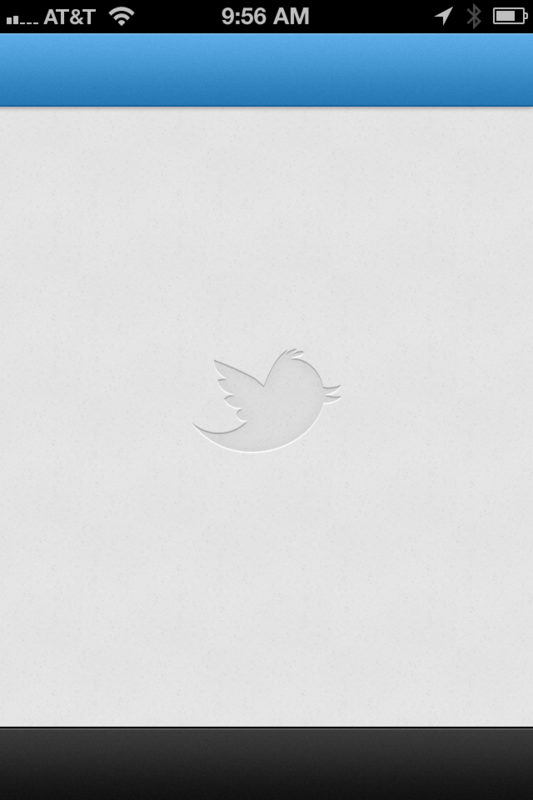 Inevitably, Twitter’s #Discover needs to beat Flipboard at its own game. In the end, Twitter may have to buy McCue’s company (or Mike may have to recuse himself from an awful lot of meetings). And that’s not the only thing that’s “complicated” about getting #Discover right. As Flipboard has already figured out, once you curate copyrighted material at scale, and then want to sell ads against your curation, things get tricky. This is why Flipboard has spent so much time negotiating rights deals with major publishers. And this will become a major part of Twitter’s work in 2012; work that, to my point, is the work of a media company. Once Twitter fixes its #Discover problem, an entirely new front opens up for the company in terms of advertising. I find consuming Twitter on Flipboard eerily similar to reading a good magazine, and I don’t think that’s a coincidence. And good magazines already have a good advertising model called the full-page ad (and the two-page spread). I predict that Twitter’s rise as a media company (along with the success of Flipboard and various at-scale “magazine-like” apps like Wired and The Daily) will augur a new ad unit we can either swipe past, or engage with. New formats like these need a scale player to really drive them into the minds of ad buyers, and Twitter will be that driver (yes, there’s Zite, and Livestand, Google’s supposedly upcoming Propeller, and and and…but.) This ad format will be a huge hit with marketers, and the subject of many fawning industry press mentions. My second post will expand on the latter part of my first prediction: Twitter as the only “free radical at scale.” Watch for that later today. And Happy 2012! Why cant the “Community” resell their own intentions….Why is twitter in the middle reselling content that they have trapped in their silo …seems that this could be the year that the prevalent consumer tech business model of extracting monetary “Value” from “Communities” will come to an end..
That is the role of a good mediator/curator. They add value, and then extract value for doing so. But it need not be the *only* model. As we did with Federated Media, media companies can and should deliver direct revenues to content creators as well. Looking forward to more of your predictions, John. Love ’em! Google Propeller (renamed to Google Currents) has actually been out for sometime now. Previous Previous post: Happy 2012!